Built with the cloud in mind, Office 365 allows users to access and modify your documents from any computer and any smart device (eg tablet or phone) worldwide. These same cloud capabilities bring benefits to collaboration too. Groups and teams can work on a single document or group of files at the same time to maximize productivity and save time ahead of tight deadlines. 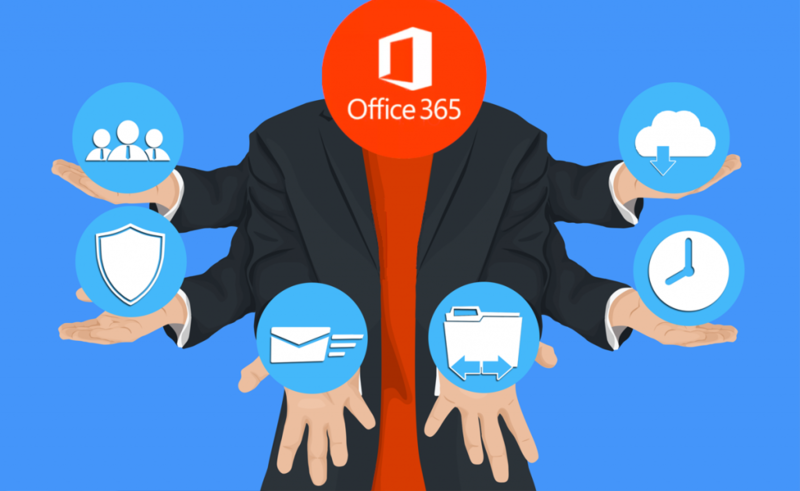 Productivity, safety and accessibility are some of the amazing benefits Office 365 has brought to modern business. Each one has clear, but obvious benefits that can be applied. This blog article breaks down some of the lesser known benefits of Office 365 that could apply within your firm. These features, unique to cloud-ready office packages, allow you to regain and maintain control of your business in any working environment. There are times on projects where you need to collaborate with external companies. Whether utilizing an external accountant, bookkeeper, marketing person, website designer or data entry processor; your business should be able to make full use of a boost in manpower when it needs it. To do this, you may need to provide access to internal resources and systems. This can prove to be a difficult balancing act as providing useful access without exposing confidential or sensitive data can be tricky. Depending on your business area, restricting access to sensitive data can be a key compliance issue that is a requirement for all companies in your industry. Rather than providing free for all access to all your data, Office 365 makes it possible to share individual files or entire folders one at a time. Privacy settings provide the power to set the amount of system access you provide right down to an individual file. Files can also be protected with edit only or view only access to protect data against unintentional, malicious or unauthorized changes. When the project reaches its conclusion, access rights for external (or even internal) users can easily be removed. Office 365 provides your business with a single, central platform for company communication and data storage. A unified system means less business time spent on staff training and problem solving. Using a single system means your data is always located in a location where you know how to access it. Data transfer and file sharing is made easy for everyone across the firm and it doesn’t depend on them being physically located within you office. Simply modifying permissions or sharing links provides access to critical files to anyone with an authorized account. For Example, jane@yourbusinessname.com may be the address of your technical support director. Using a unique business-based address, such as techsupport@yourbusinessname.com.au, provides both a professional point of contact and useful account management system. It also provides a simple way to share email within the company. If jane@yourbusinessname.com was the primary point of contact for technical support for your clients, vital emails might otherwise be ignored or lost completely when Jane is unavailable. Office 365 services make it easy for other staff members to access a shared mailbox (such as techsupport@yourbusinessname.com.au) so no emails are ever ignored. These simple but highly effective tools make sure you don’t miss vital communications from customers, suppliers or contractors. The Office 365 suite of tools gives you a competitive advantage to ensure queries never ‘fall through the cracks’ and your business retains a highly professional reputation. Keeping in complete control of your business doesn’t have to mean sacrificing extra hours, laborious micromanagement or building complex and costly systems. Office 365 allows you to keep control of your business easily and without hassle. You’ll be surprised at how Office 365 help you run and manage your firm. If you are in Australia contact us on 08 8326 4364 or support@dpcomputing.com.au now to help set you up and running using Office 365 the right way. This entry was posted in Cloud, Managed IT, Proactive IT Support, Software, Tips & Tricks and tagged adelaide, australia, cloud, cloud computing, collaboration, email, exchange, file share, modern office, o365, office 365, office suite, onedrive, online file server, sharepoint, sharing, south australia, teams by David Perkovic. Bookmark the permalink.